and Vox Super Beatle amps! This appears to be the concert that Ringo received the death threat at in Montreal during the 1964 tour. 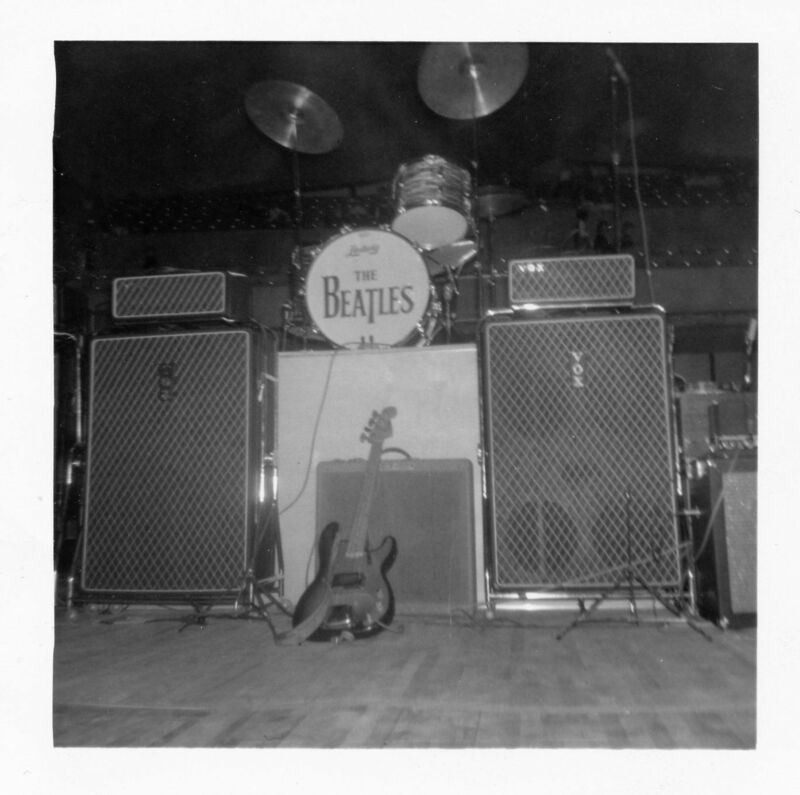 Notice that his cymbals are much higher than normal, as well as being tilted up to act as the shields to “protect” Ringo during the performance. Sounds like something from the movie Help!